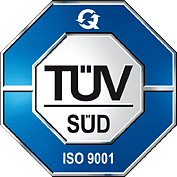 We’re happy to share that Alta Devices is now ISO 9001:2015 certified. ISO is short for the International Organization for Standardization. It is an international standard-setting body that has been around since 1946. ISO 9001:2015 is the 2015 update of ISO 9001 and it is the most current and widely used international standard for Quality Management Systems (QMS). A QMS is a collection of policies, processes, documented procedures and records that defines how a company creates and delivers its product or services. In our instance it covers how we design, develop and manufacture our solar material. ISO 9001:2015 enables organizations to focus on and improve key areas of their business to facilitate consistent delivery of quality products and services. It is a standard demanded by many of our customers who see it as a driver of both customer satisfaction and product improvement. Many companies require their suppliers to be ISO 9001:2015 certified. ISO 9001:2015 is also used as the basis for aerospace and other industry standards such as AS9100. ISO certification requires a commitment to quality standards. A certified QMS indicates that Alta Devices has clear policies, processes and responsibilities that have been communicated internally and are audited regularly. Certification creates a culture of continuous improvement and evidence-based decision-making and helps to ensure that resources are used effectively and efficiently.